Share buybacks are at record levels in the United States. All that cash might please investors. But it means there’s less for both innovation and workers, which means growing inequality. Elizabeth Warren wants the Securities and Exchange Commission to rethink its policies on the practice and may even sponsor a bill in Congress, to boot. The Massachusetts senator deserves a hearing. So far this year U.S.-listed companies have announced $478 billion in stock repurchases. At that pace, they’ll reach $1.1 trillion by the end of December. That would handily surpass the previous high of $863 billion set in 2007, according to investment consultants Birinyi Associates. Warren has three complaints. First, repurchases distort the stock market, creating what she calls a “sugar high.” From the perspective of shareholder returns, they are the economic equivalent of dividends. But accountants treat them differently. Buybacks reduce the share count, while dividends do not. With the same company having fewer shares, buybacks push up earnings-per-share growth more than dividends do. This ties into Warren’s second issue – that buybacks are often a fraud on the non-privileged part of the population. Repurchases can be used to pump up the pay for already richly remunerated bosses because their bonuses are often based on stock performance, and earnings per share in particular. Regular workers lose out. So do taxpayers if the repurchases are financed with tax-subsidized debt. Little wonder that stock repurchases were banned as manipulative in the United States until 1982. More economically accurate accounting for buybacks would take away their effect on earnings per share, but wouldn’t solve Warren’s final issue: the psychology behind the buybacks culture. She is appalled by the willingness of many big American companies to sacrifice investments for the sake of short-term total returns to shareholders. Here she echoes University of Massachusetts Lowell economist William Lazonick. In a recent paper, he argued that the buyback culture increases economic inequality, destroys jobs and slows down economic growth. Wall Streeters won’t like the abrasive tone adopted by Warren, who has shown savvy in capturing populist sentiment. But it’s hard to dispute that her buyback argument has a lot of merit. She may not succeed in her quest to change the law. But by using her bully pulpit she could make buybacks a lot more unpalatable. Lisa Lee is senior correspondent for Reuters LPC. 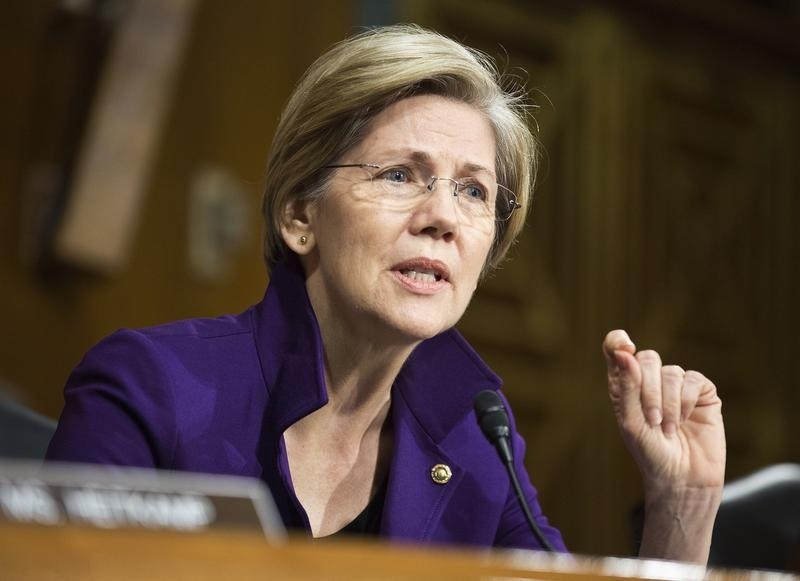 Senator Elizabeth Warren on June 4 called for the Securities and Exchange Commission to re-examine its rules that shield corporations conducting large open-market repurchases from charges of market manipulation. She has also indicated her intent to co-sponsor legislation to reverse a 1993 law that allows corporate boards to link executive pay to stock performance and to make that pay tax-deductible.